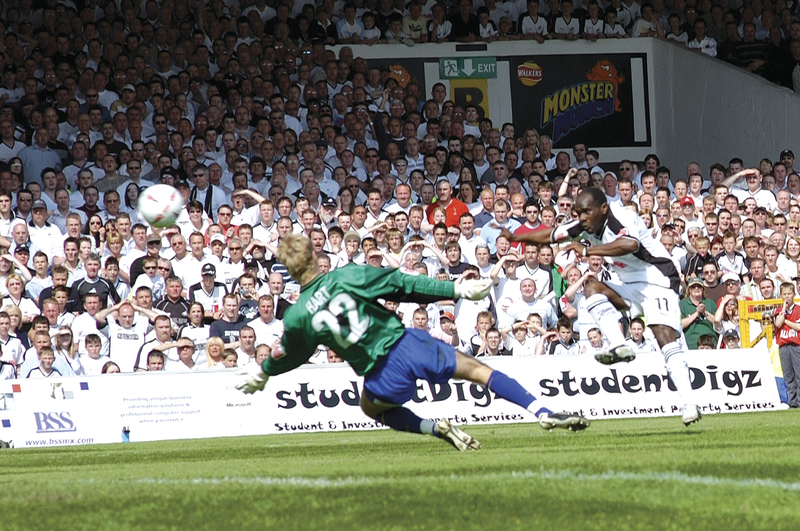 Adrian Forbes scores the last league goal at the Vetch on 30 April 2005 in a 1-0 win over Shrewsbury Town. Here he is seen smashing the ball past Joe Hart who is now (in January 2012) the goalkeeper for Manchester City and England. Are you one of the ‘faces in the crowd’ on the North Bank in the background? If so, tell us your story of that emotional day. Were you on the pitch at the end of the game, and what did you take home as a souvenir?